Rosa Maldonado joined Myrtle Potter & Company in 2016 as Executive Assistant to Myrtle Potter, and Head of Operations for Myrtle Potter & Company. Rosa is based in the Atlanta office. In this role Ms. Maldonado is responsible for executing a full range of duties including being the administrative and operations point of contact for all existing and potential clients, and managing all board of directors and speaking commitments for Myrtle. Rosa also directs the management of the IT needs for the Company. Using her proactive approach, her extensive experience and proven methods, Rosa ensures seamless, integrated operations throughout all areas of the organization. Rosa has over thirty years of experience working in global corporations in a number of industries including pharmaceutical, consumer transaction technology, imaging technology, international export/import, and network & broadcasting where she has supported and worked with Senior Executives and their Management Teams. Prior to her current role at MP&C Rosa worked at Meggitt Training Systems, a global Military & Law Enforcement Training corporation for five years. In her last role at Meggitt, she was the Administrative Assistant and Proposal Specialist for the Proposals Department, and was responsible for supporting the Director and Proposals Management Team of the Live Fire and Virtual Business Areas. In addition, she provided support to the Strategic & Organizational Development Team and the Contracts and Sales Departments on special projects. Prior to Meggitt Rosa worked for Stiefel Laboratories, Inc., a global pharmaceutical research and development company owned by GlaxoSmithKline. While at Stiefel she initially served as the Senior Executive Assistant to the Vice President of Sales who managed a team of 3 Regional Directors, 27 District Managers and 250 Sales Representatives nationwide. After her second year Rosa was promoted to Senior Marketing Coordinator leading the administrative process of the Promotional Materials Review through Regulatory, Legal, Trademark and Medical Affairs Departments, to ensure full compliance with FDA regulatory standards. 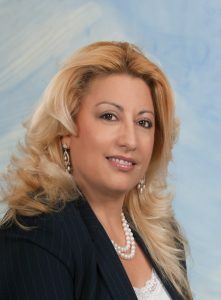 Rosa worked for BellSouth International Wireless Services in the Latin America Division, where she supported marketing and business development projects during the inception of the business. After her first year she was promoted to International Logistics Manager, leading the International Export & Import Logistics process for the Engineering and Implementation Team at BellSouth International. She also served over three years as Senior International Export Coordinator for CBH International Inc., an exporter of European machinery for the Agroindustry in Central and South America. Rosa is bilingual which has been an asset to her during her full professional life. Outside of work she enjoys spending time with her family, is an integral part of the Latin and Children’s Ministries of her church, has a passion for interior design, arts & crafts, and also enjoys Zumba classes and swimming.